Here is a quick and easy appetizer recipe , adapted to omit the honey, to make for the holidays or any dinner party. It’s simple, very tasty, and you can prepare them ahead of time and store in the fridge. My favorite part of the recipe is the use of celery instead of crackers or bread. This not only makes it gluten-free, but also makes it slightly different than serving a traditional cheese plate appetizer. And of course the sweetness of agave nectar and nutty flavor of walnuts go great with goat cheese! 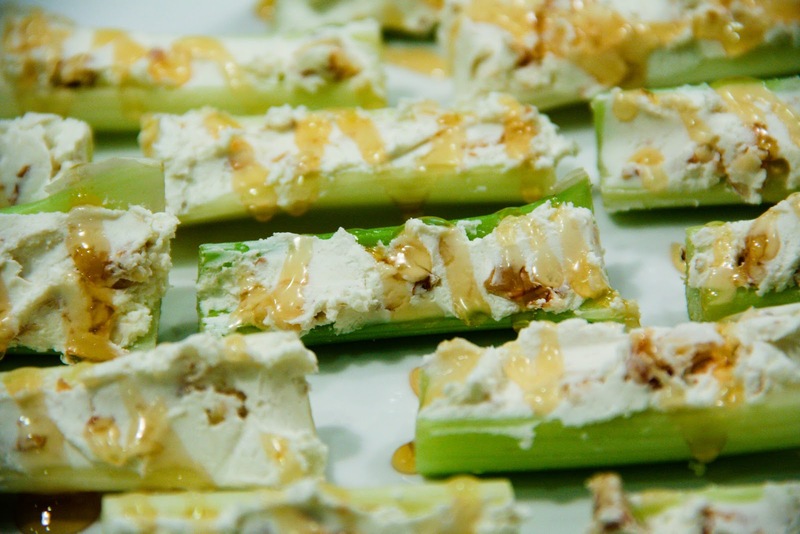 For the recipe, head on over to The Little Kitchen website – Goat Cheese & Walnut Suffed Celery Sticks w/Sweet Drizzle (gluten-free, contains dairy). I substituted agave nectar or maple syrup for honey. I made this as a snack when we had guest over last weekend, everyone loved it. It is so simple and tasty!! I had glazed walnuts at home already so I used that instead of regular walnuts, it just tasted sweeter. So good! Oh yay! Nice to hear everyone enjoyed them! 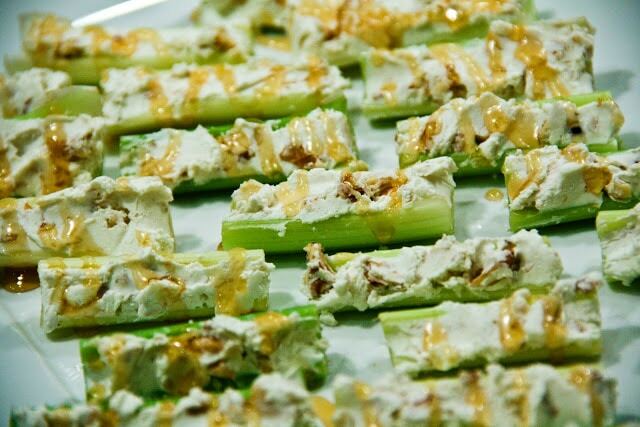 It's a simple, yet elegant way to serve an appetizer and make use of some celery! Thanks for the comment!